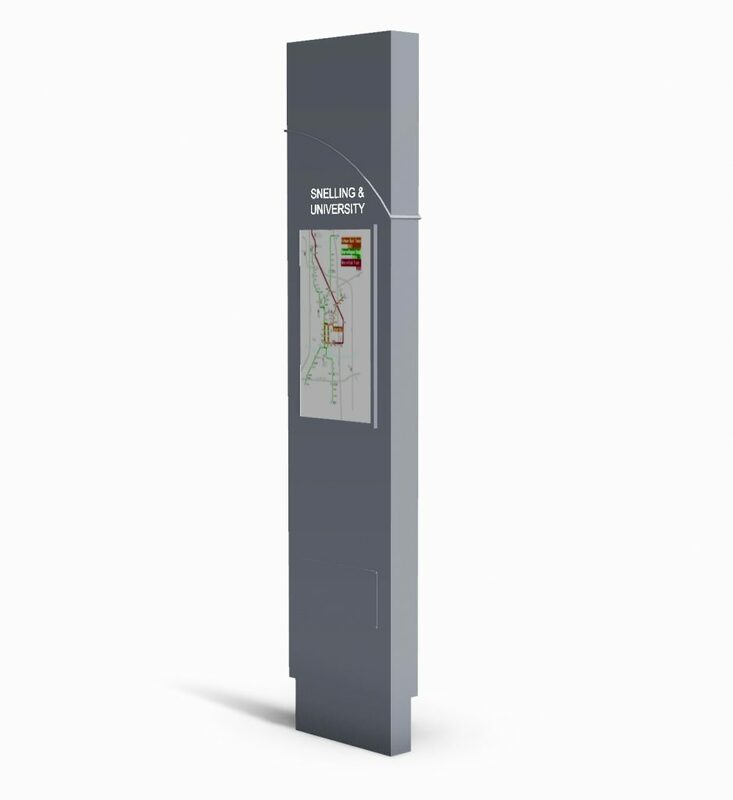 The Mission Series totem offers a built-in map/route display for static or digital displays and side panel LED accent lighting. LED lights are available in clear, yellow, red, green, blue and purple. The totem is 100% made in the USA from aluminum so will never rust.